Ensure your dog is seen in this high viz dog coat. Choose from three lighting sequences around the belt for extra visability. Be Safe. Be Seen: Ensure your dog is seen from all angles in this high viz dog coat with integrated light and 360° reflectivity. Get Flashy: Choose from three different lighting sequences operated by a simple push button. Battery operated. Functional: Made from an attractive combination of oxford and jacquard performance fabrics. 100% waterproof and breathable with cosy fleece lining. Features small opening for collar or harness fitting to pass through allowing attachment of lead. Ergonomic fit: Passes over the head and features a stretch shoulder insert for freedom of movement. Adjustable belly strap for secure and tailored fit. Outer: 420D Polyester waterproof and breathable fabric with taped seams. Lining: polyester fleece lining. Machine wash at 30. Remove belt for washing. Great coat that you can tell is well made. Very light weight and the inside lining is lovely and soft. 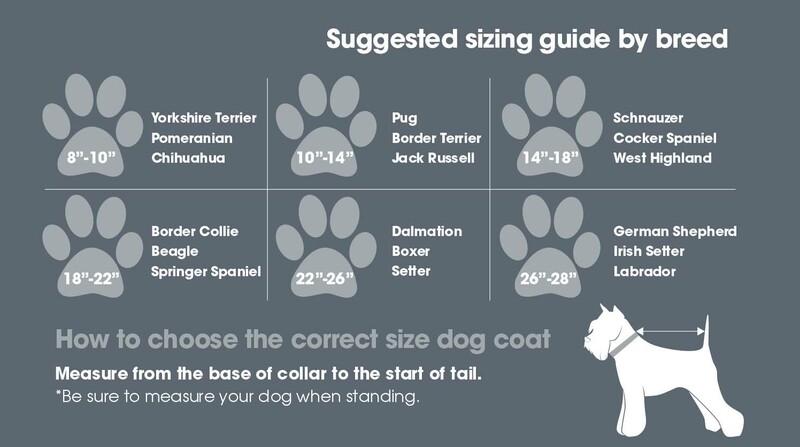 Great quality dog coat, fits well and lightweight. My 5 month old spaniel can still run round freely in the field and I can now find him on dark nights! The belt fits well and has enough room to adjust smaller or larger.